People often mistake Chronic Fatigue Syndrome for regular bouts of exhaustion, while others may consider it to be a psychological rather than a physical problem. However, the experience of chronic fatigue is unmistakably physical and debilitating. It can severely impair your day to day activities and responsibilities. Treating Chronic Fatigue Syndrome with integrative medicine techniques is essential in order for you to get to the root of the illness and manage its symptoms for a happier, more functional life. If you’ve been experiencing chronic fatigue, it could be a symptom of another illness. Chronic Fatigue Syndrome is extremely uncommon and hard to diagnose. However, awareness of the disease is increasing and allowing people to finally get the proper diagnosis they’ve been looking for. It is estimated that approximately 850,000 to 2.5 million Americans are affected by Chronic Fatigue Syndrome. Feeling tired is one of the most common symptoms people experience and recognize when they’re feeling ill. However, Chronic Fatigue Syndrome is something different altogether; it is characterized as extreme fatigue that cannot be explained by another underlying condition and does not improve with rest. Often symptoms of Chronic Fatigue Syndrome set in when the adrenal glands are not functioning properly. The fatigue becomes worse when you exert your energy in physical or mental activity, and it can flare up during intense or long periods of stress. Chronic fatigue is caused by the energy box of the cells (the mitochondria) being malnourished and flooded with toxins and inflammatory mediators. It can be worsened by infections, liver and kidney congestion, hormone imbalances, or psychological stress. Recent research suggests that people with Chronic Fatigue Syndrome could have imbalances in their gut bacteria. 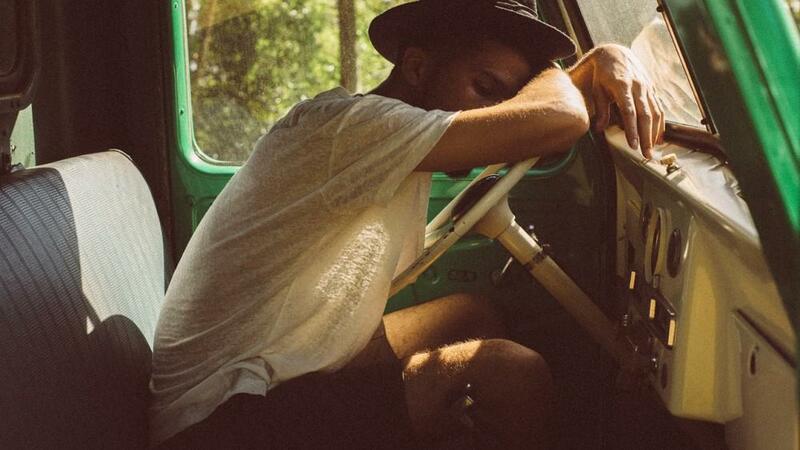 One study found that people with chronic fatigue have higher levels of a certain bacteria in the gut and lower levels of other kinds of bacteria. While some researchers believe the imbalance of gut bacteria could cause chronic fatigue syndrome, it also seems possible that it is a consequence of having Chronic Fatigue Syndrome. If you've been feeling extremely tired every day and it's not improving with rest, you may have chronic fatigue of another kind. The adrenal glands manage our body’s stress and they are located on the top of each kidney. In extremely rare cases, the adrenal glands can become over-stimulated and eventually over-exhausted when a person experiences long term chronic stress. This can be caused by either physical or emotional stress. Adrenal insufficiency occurs when the glands are no longer able to produce enough cortisol and aldosterone, the stress hormones. Primary adrenal insufficiency (also known as Addison’s Disease) is an extremely rare autoimmune disorder that occurs when our adrenal glands are no longer working properly. Secondary adrenal insufficiency is more common and develops when the pituitary gland in the brain is not able to produce enough Adrenocorticotropin (ACTH), a hormone that stimulates the adrenal glands to make cortisol. Under a chronic state of extreme stress, the adrenal glands cannot keep up with the hormone demands relative to the supply and become over-stimulated, leading to chronic fatigue. Chronic fatigue is a complex disease that requires a better understanding of each individual person’s stress. People with Chronic Fatigue Syndrome are often burnt out and have pushed their bodies to their own limit. It’s important to learn what those limits are and establish a new daily routine designed to treat Chronic Fatigue Syndrome and manage symptoms. Treating Chronic Fatigue Syndrome requires optimizing nutrition and learning how to effectively deliver nutrients to the cells in your body. Eating a healthy, balanced plant-based diet will fuel the body and help decrease the production of stress hormones. It is essential that you work with your doctor to come up with a personalized treatment plan that uses integrative medicine techniques to help remove toxins from the body and decrease toxin overload. Although it is tempting to turn to caffeine when you have chronic fatigue, it will increase your cortisol (stress hormone) levels, irritate the stomach, prevent the absorption of essential nutrients, and make it more difficult for your body to manage stress. The best way to manage cortisol levels is to regularly exercise. Exercise releases endorphins and reduces stress levels in the body. Although people with chronic fatigue may experience extreme exhaustion after physical activity, it is important to work out a personalized treatment plan that balances exercise and rest. Although it may not relieve the feeling immediately, getting enough sleep is critical for Chronic Fatigue Syndrome. It helps the body recover from daily stress and repair its cells. As with any chronic illness, Chronic Fatigue Syndrome requires personalized treatment to best understand its underlying culprit(s). Contact Dr. Payal Bhandari, M.D.. to help answer your questions about chronic fatigue and adrenal disorders. Chronic fatigue can be improved through aggressive lifestyle counseling focused on nutrition, physical activity, sleep and stress management. Dr. Bhandari is an integrative functional medicine physician who specializes in chronic illness. She can help you define a personalized treatment which will quickly drive positive results, improving your daily and long-term wellness.